A true friend is one who likes and accepts us as we are. 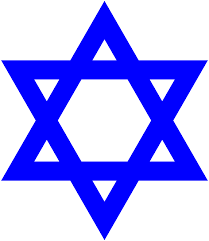 So too are true friends of Israel – Jewish Israel that is: Am Yisrael for Eretz Yisrael and Eretz Yisrael for Am Yisrael. When someone is said to “work hard for Israel” that phrase is really meaningless unless qualified that it is for Am Yisrael for Eretz Yisrael and Eretz Yisrael for Am Yisrael. And sometimes it takes a lot to suss out the truth, after all, the PA and Hamas are also “working hard for Israel” – but in their own very different terms. Many of the Christian missionaries/evangelicals “work hard for Israel” too. But they too are working for an Israel that is not Am Yisrael for Eretz Yisrael and Eretz Yisrael for Am Yisrael either. Some missionaries see themselves as the true inheritors of Eretz Yisrael, where Jews who do not accept their J-god get “grafted” out and are supplanted by the “new” “true” Am that they’ve redefined. For some, the greatest glory is to reel in a religious Jew with all the simanim and then get him or her to “also” accept their J-god – they’ll tell you that they don’t want you to stop being Jewish, but you “just” need to add their idolatry, chalila. Some of them believe that once their J-god shows up, Am Yisrael will then accept him. But any way they configure it, their goal and vision of Israel is where their idolatry prevails over Torah. Am Yisrael has suffered 2000 years from this “Religion of Love” that has tried to self-appoint itself as the new Chosen People, and their missionary work here in Israel is a straight continuation of that. Yes, they “work hard for Israel”, but their goal is not a Jewish Israel, but a Christian one. They are the same enemy with the same goal and agenda that mercilessly butchered – and burned at the stake, and tortured, and expelled – Am Yisrael for the past 2,000 years. Since they can no longer slaughter us, they are continuing their missionary work by “befriending” Jews, getting on IDF bases, and “helping Jews”. After all the smiling pics and wine glass clanking, only those who accept Am Yisrael for Eretz Yisrael and Eretz Yisrael for Am Yisrael (sans yishke!) are Am Yisrael’s true friends. So, the friend-or-foe identifier boils down to the test: Is the vision of Israel a Jewish Israel with or without yishke? Just remember that when asking, missionaries are practiced con-artists and masters of word play. Some, like many of the PA, say one open- or double-meaning thing to Jews and then something totally different – the truth! – to their own people, as HaYovel has done (please see links below). Am Yisrael’s friends support our vision and goal and want us to achieve it – that’s what friends are for. Missionaries are not our friends. All of the “pro-Israel” videos of Hananya Naftali, for example, will not change the fact that he is a christian missionary who has bragged about “sharing jesus” with IDF soldiers. He gets much credit for boasting the title “pro-Israel”, but his is not a pro-Jewish-Israel one, and this is my point. Anyone who works to lead Jews into avoda zara is no friend of Am Yisrael. There should be no tolerance for a Jew or gentile who supports, fosters, and/or defends missionaries who “work hard” to lead Jews into avoda zara, and Jews especially should not be abetting this evil even indirectly.